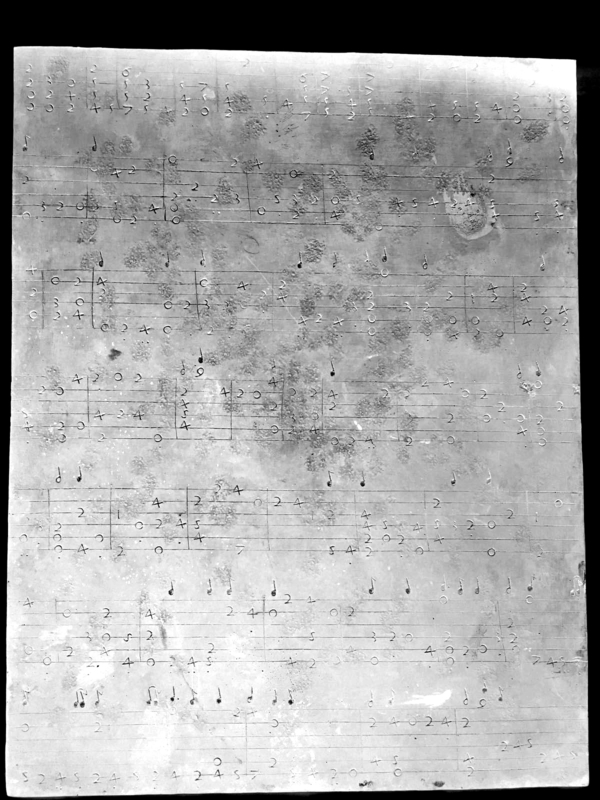 The piece has been identified by Gerhard Söhne. It is a work by Alessandro Piccinini: Aria III Con parte variate. From Piccinini: Intavolatvra di liuto, et di Chitarrone. Libro primo, Bologna 1623, p. 49-51. But the version below is simpler and stems from another edition (possibly a pirate print?). Pietro Prosser sent me the request of the art historian Anna Bianco about the back of a picture that was drawn on a copper plate. The picture probably was made around 1640 in Italy (Rome/Bologna). On the other side the printing plate of a yet unknown piece can be found. If someone is able to identify the piece, it would be fine to contact me (see contact). In the meantime lute builder Gerhard Söhne has made a version by changing bars. 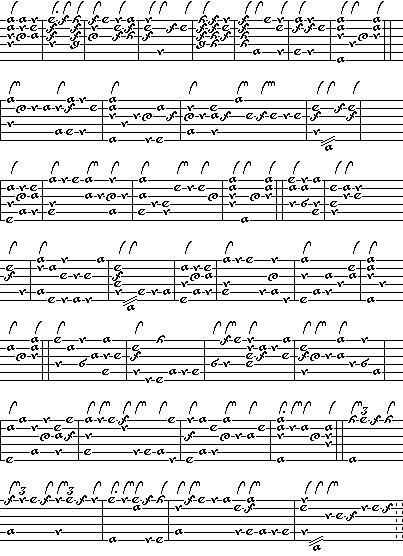 The resulting Galliard has a regular structure of 8 measures and indeed could be the original version. He also supposed, that the plate had been thrown away because of the wrongly set bars.